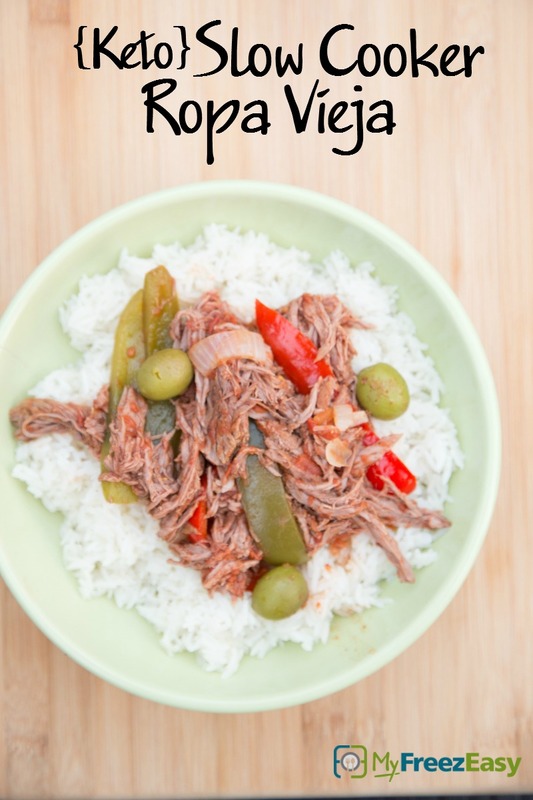 Delicious flavors come together with this shredded beef recipe! Seed and slice the bell peppers. Slice the onion. Place the flank steak into the base of the slow cooker and season with salt and pepper. Add the sliced bell peppers and onions, tomato sauce, vinegar, cumin and green olives. Set the slow cooker on low and cook for 8 hours. Once finished cooking, shred the flank steak with 2 forks and mix into the sauce. Spoon the shredded beef over rice. 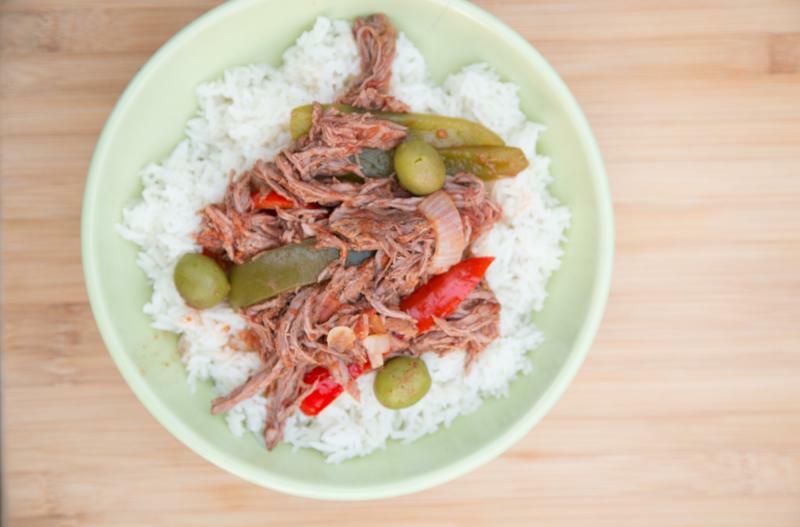 Serve Slow Cooker Ropa Vieja over cauliflower rice with salad. Seed and slice 2 green bell peppers and 2 red bell peppers. If you can’t find flank steak, a skirt steak or other thin cut steak will work. Serve with cauli-rice for Keto friendly recipe. Serve over cauliflower rice with salad.